"In addition, Djokovic’s grass stats - pre or post injury - are simply on a different level. At Wimbledon this fortnight, he’s won slightly fewer service points, which is understandable given Anderson’s big-serving nature, running at 72.6% to Anderson’s 73.9%, but has a vast edge on return, winning 44.0% to Anderson’s mediocre 31.9%." We managed to pick up another winner in the interrupted men's semi-final from Friday, as Novak Djokovic edged past Rafa Nadal 10-8 in the deciding fifth set, to convert our even-money recommendation. While the scoreline was undoubtedly tight, and this was two high-level competitors giving everything, it's also fair to say that Djokovic was the deserved winner. The Serb created the lion's share of chances, with 19 break points to Nadal's 11, and it would have been undeserved if the King of Clay had triumphed. It's also worth noting the split between the overnight timings. While the match reads a very lengthy 321 minutes, 176 were played on Friday night and 145 on Saturday. This isn't that dissimilar to playing two three-setters in regular ATP events in consecutive days - often the case for a player to make the final - and I'm not convinced that fatigue will be a major issue for Djokovic here. The same cannot be said for Anderson. His marathon 396 minute match against John Isner on Friday will have considerable effects on his body, and the 883 minutes he'd been on court prior to the semi-final was also already extremely high. Now running at 1,279 minutes, this total is comfortably the highest I've seen on my three-year database of this type of data. Usually it will take a player around 900 minutes of court time to reach a Slam final (Anderson's 2017 run to the US Open final took 926), so this extra six hours or so will have a brutal consequence for Anderson, and it wouldn't be a shock if his body succumbed to fatigue on the biggest stage. Even without taking fatigue into account, the omens don't look good for the big South African. Djokovic has won five of their six head to head matches, albeit mostly from a good while ago, but in those, Anderson's limited return game has made virtually zero impact on Djokovic's serve. Djokovic has held 94.1% of his service games in the head to head matches, while Anderson managed to do so just 74.7% of the time. In addition, Djokovic's grass stats - pre or post injury - are simply on a different level. At Wimbledon this fortnight, he's won slightly fewer service points, which is understandable given Anderson's big-serving nature and the fact that his opponents have often also been big-servers, running at 72.6% to Anderson's 73.9%, but has a vast edge on return, winning 44.0% to Anderson's mediocre 31.9%. If we look at grass data over the last 18 months, the data tells a familiar tale, and prior to Djokovic's injury, the same story as well. Here we have a player who is simply considerably better than his opponent, and likely to be less fatigued as well. The Exchange has made Djokovic a [1.20] favourite here, and even at such a short price, I make this pretty decent value. The question is, how to exploit it. The two obvious angles are set and game handicap lines, with Djokovic 3-0 and Djokovic -5.5 games the considerations. Djokovic 3-0 is a bigger [2.28] to the -5.5 games, which stands at [1.92], but I think I prefer the shorter price on the game handicap. Going on the game handicap line enables us to stay competitive if Anderson was to nick a set on a tiebreak, and also benefits us if Anderson wilts later on in the match, giving Djokovic a double-break set win. I'm also surprised to see that the first set tiebreak is so short priced at even money. 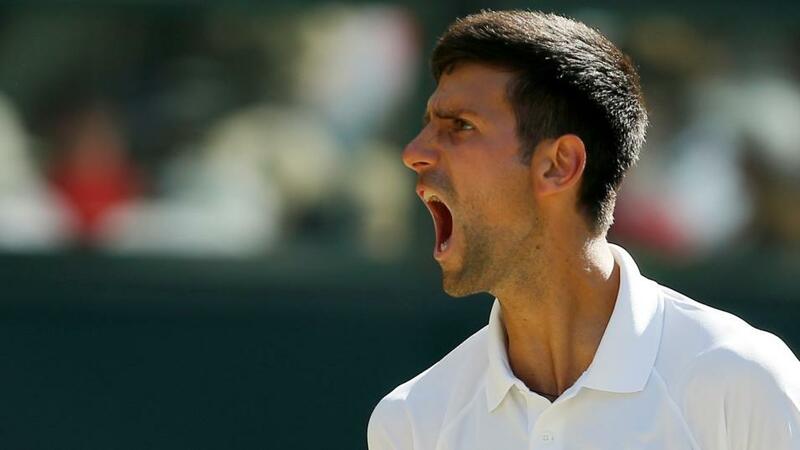 Djokovic is a supreme returner, and this market may have been influenced a little by Anderson facing several serve-orientated opponents in Roger Federer and the aforementioned Isner, in the previous rounds. Probably the best way to try and exploit this, if you are so minded, is to back Anderson to get under 5.5 games in the first set at 6/5 with the Sportsbook. I'm looking forward to an excellent match to round off what has been a pretty solid Wimbledon 2018 for followers, and I'll be back on Monday to preview the upcoming week of regular ATP action, as the tour returns to the clay courts.